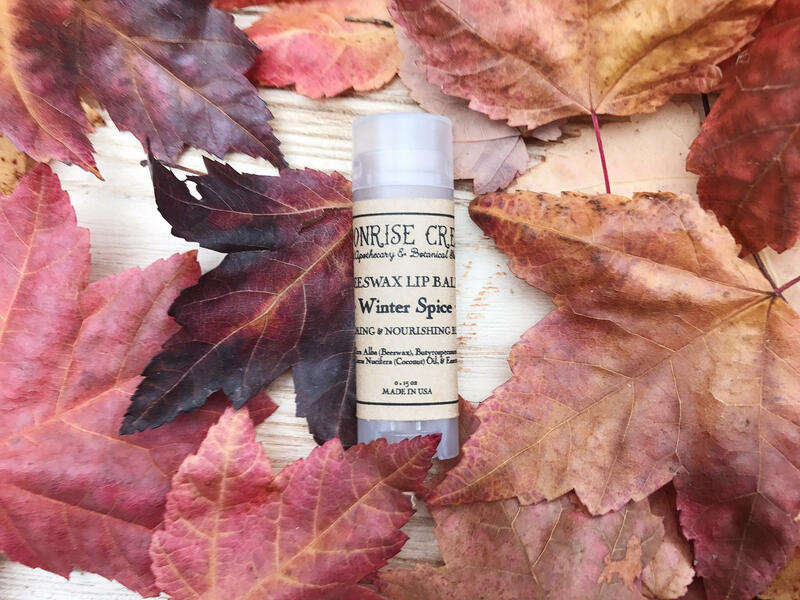 This lip balm truly is an energizing, all natural treat for your lips, filled with rich, earth wise ingredients. With the fiery sensation of cinnamon, warming action of clove, fortifying pleasure of nutmeg, stimulating property of black peppercorn, & a sweet orange twist, it truly is a wintertime delight. 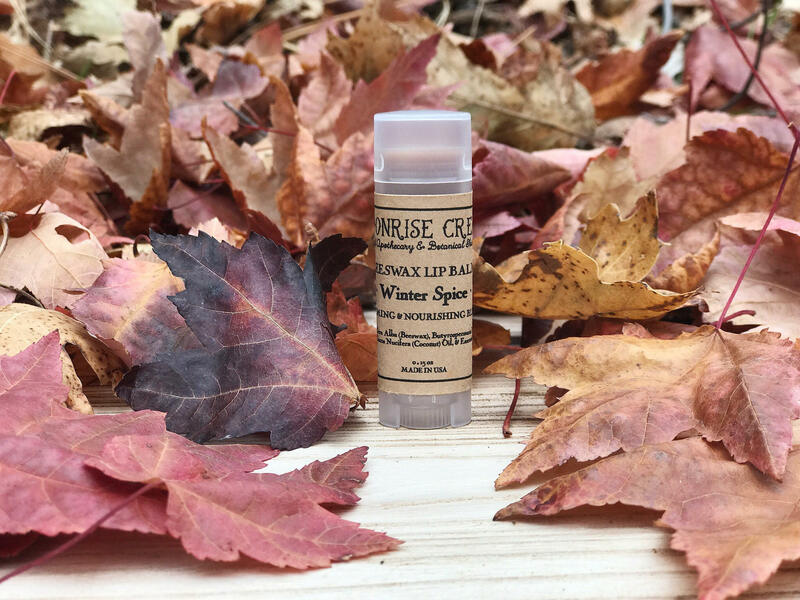 This lip balm gets its rich earthy color from raw cacao powder, but will not leave any tint on your lips. Made with All Natural Ingredients: Beeswax, Shea Butter, Coconut Oil, Cacao Powder, Cinnamon Essential Oil, Sweet Orange Essential Oil, Nutmeg Essential Oil, Black Peppercorn Essential Oil & Clove Essential Oil. Disclaimer: Always seek medical advice before using products with essential oils if pregnant, nursing or have a medical condition.